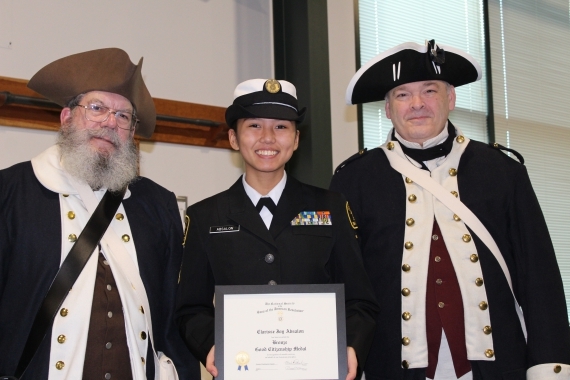 Sea Cadet Petty Officer Clarisse Joy Absalon (center) receiving the SAR Bronze Good Citizen Medal and Certificate at the Everett Naval Base. 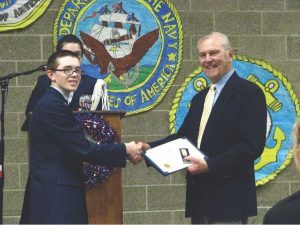 Compatriots John Kraft (Master Chief, retired) pictured on the left and Neil Vernon. 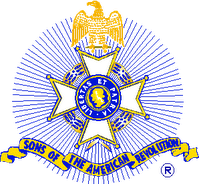 President and Color Guard Captain of the Seattle Chapter (right), were on hand to present the award, along with our Chapter Secretary, Russell Oliver (20 January 2019). 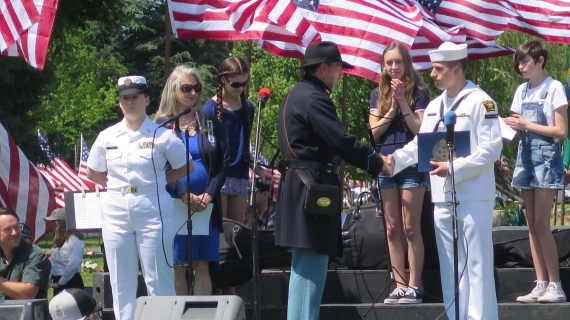 Compatriot Kevin Coyne (in Civil War Uniform) presenting Sea Cadet Almonzo Bergeron (right) with the SAR Bronze Good Citizenship Certificate and Medal at the Festival of Flags in Ferndale, WA on 28 May 2018. 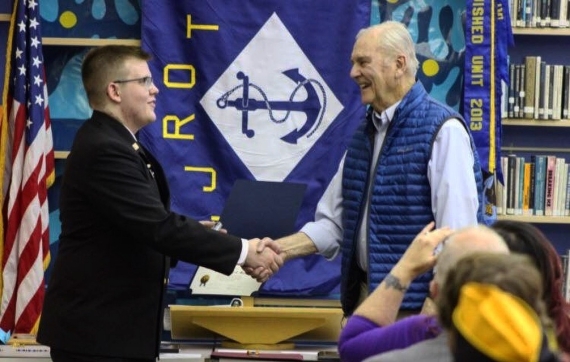 Compatriot Perk Bingham presenting the SAR JROTC award to Cadet Justin Albee (right). 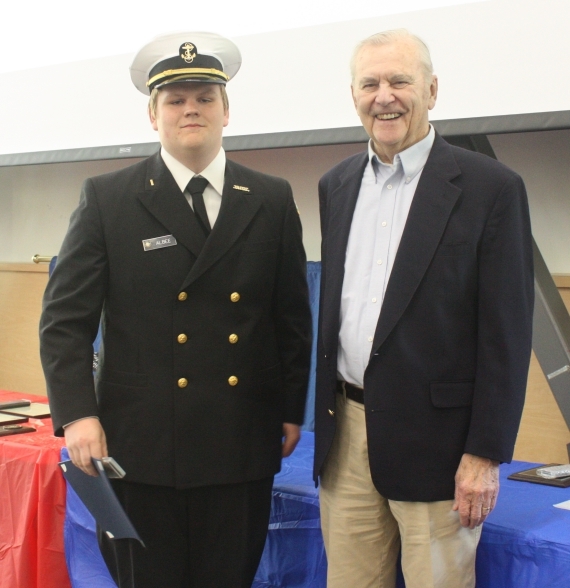 Compatriot Perk Bingham presenting the SAR JROTC award to Cadet Blake Hansen (left). 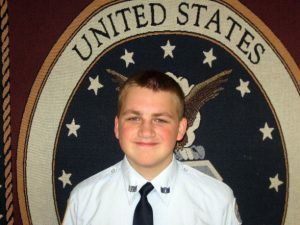 Presentation of JROTC Award to Cadet Shipley.